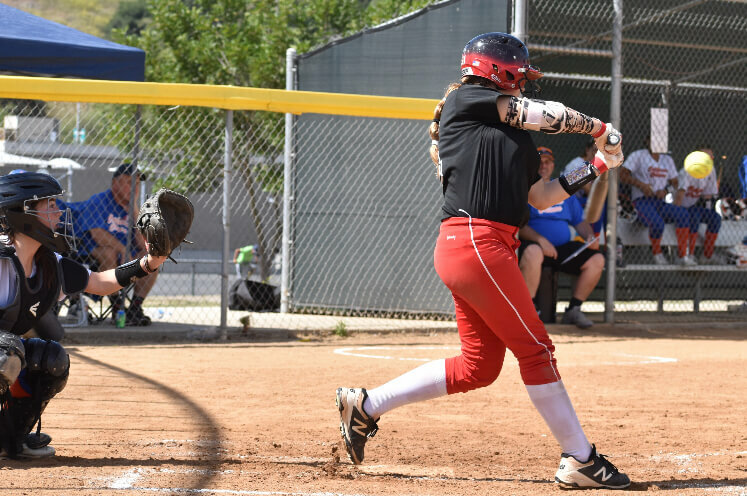 Catcher Ava Gall of the Firecrackers Brashear/Hicks team looked strong in the fall playing against 16U competition. We continue our unveiling of the top 100 players in the Class of 2023--those we feel will have the best chance to make an impact at the collegiate level and possibly beyond--based on their development and performance at this stage. Today we feature players #’s 30 to 21 as we profile players from states such as Arizona, California, New York, North Carolina, Texas and more. We are listing 10 ranking slots per day (100-91, 90-81, etc.) as we move down the list from 100 to No. 1 and then also publish lists with the prospects ranked #’s 101-200 and 201-300. To see the complete schedule of which lists will be released on what days, click HERE. Players are selected based on on-field talent, successful performances—especially in big events like Nationals and showcases—as well projected growth and development and intangibles such as leadership, work ethic and the ability to make teammates better.